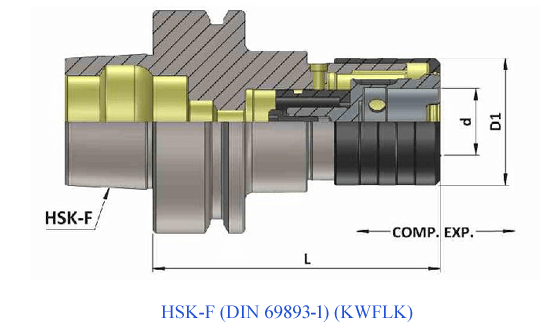 Item Name HSK-F Capacity Suitable Adaptor Comp. Exp. d D1 L HSK 63F KWFLK2 119 63 M8 - M20 KWES2B 12.5 12.5 31 5.. 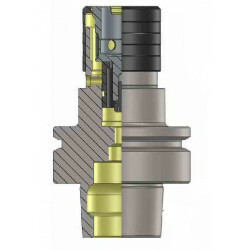 Item Name HSK-F Capacity Suitable Adaptor Comp. Exp. d D1 L HSK 63F KWFLK3 176 63 M14 - M33 KWES3B 20 20 48 78 ..